Researching bank options? Check out this Wells Fargo review to see if the bank provides the services you need. Wells Fargo is the third biggest bank in America and prides itself on being a one-stop financial institution for all of its 70 million customers. It is a banking giant, consistently ranked by personal finance sites as one of the best brick-and-mortar banks in America. With credit cards, checking and saving accounts, loans, mortgages and insurance, Wells Fargo's products meet industry standards, but aren't exceptional. So what sets Wells Fargo apart? Everything under one roof means fewer headaches and fewer worries for customers. Overall, Wells Fargo is a strong choice if you're looking for a brick-and-mortar bank that offers everything under one roof. Keep reading to see what else is liked, and disliked, about this bank. Is it the best bank for you? Depending on what you're looking for in a bank, Wells Fargo may or may not be the best bank for you. Answer these questions to determine if Wells Fargo has what you need. Do you value an easy-to-use online banking experience with all the bells and whistles? With robust online banking, a mobile app with instant check deposit, and text banking are some of the ways in which Wells Fargo makes it easy for customers to bank on the go. But if the online and mobile options seem too overwhelming, then you may want to check out local or national credit unions instead. Are you looking for a bank that can travel with you within the United States? With branch locations in all 50 states and nearly 13,000 ATM locations spread across the country, Wells Fargo is great for in-person interactions and cross-country travel. But if you're looking for a bank that is great for international travel, then you might want to look at other banks or credit cards instead. Most Wells Fargo cards charge $5 per ATM transaction plus 3% of every purchase when spending abroad. Do you need a second a chance at banking? If you've denied the opportunity to open a checking account at other banks due to bounced checks, bad credit or a history of overdraft fees, then Wells Fargo Opportunity Checking and Savings account might be the answer. The account is specifically designed for customers who haven't been able to open a banking account due to past mistakes. If not, you may have more flexibility in your banking options and might want to look at savings accounts with higher interest rates or other perks. Named the best brick-and-mortar national bank of 2016. Thanks to branches across the nation, a trustworthy history, and low account fees, Wells Fargo has been named the best brick-and-mortar bank by multiple sites. Nationwide locations make it simple. In an increasingly digital world, customers who value in-person access and interactions across multiple states appreciate Wells Fargo. Great customer service makes it enjoyable. 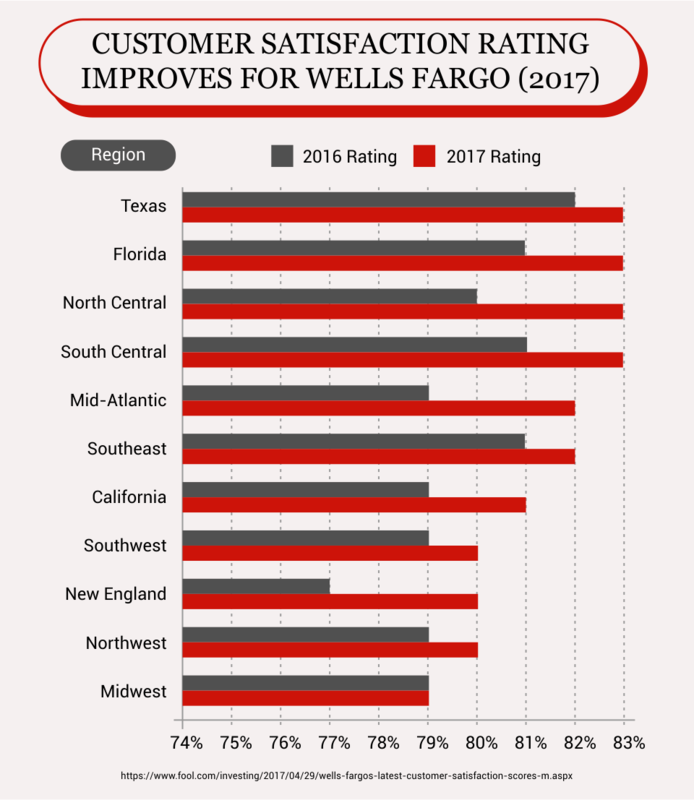 According to customer reviews, the country-wide locations and Wells Fargo mobile access are even better thanks to excellent customer service from Well Fargo advisors. "Wells Fargo [offers] professionalism and excellent customer service compared to Chase and Bank of America, where I have banked before. Every encounter I've ever had—be in person, via the web or on the phone—has always been a very positive experience. The people I [have] interacted with are courteous and appeared truly happy to be of service…," writes Andrea from Houston, Texas. Rewards that you will actually use. A lot of banks pride themselves on providing credit card rewards, but with Wells Fargo credit cards and Go Far Rewards, you can earn rewards on everyday purchases and apply them towards travel, donations, cash back, or shopping. Customers value the rewards and also appreciate that all aspects of the bank provide value. "Online bill pay is a breeze, rewards are good on their credit card, and CD rates are competitive," says Mary from Villa Rica, Georgia in her Wells Fargo bank review. Unsecured loans simplify the borrowing process. Wells Fargo is one of the only big banks to offer unsecured loans that do not require customer collateral. Creditworthiness is the only factor used to determine your loan. Small business banking at its best. With small business loans, a partnership with the Small Business Association, checking accounts, and business credit cards with no fees, Wells Fargo is known for taking good care of small business owners. Out-of-network ATM fees. You'll be charged $2.50 for using "out-of-network" ATMs. In addition, the ATM operator will also charge a $2-$4 fee. 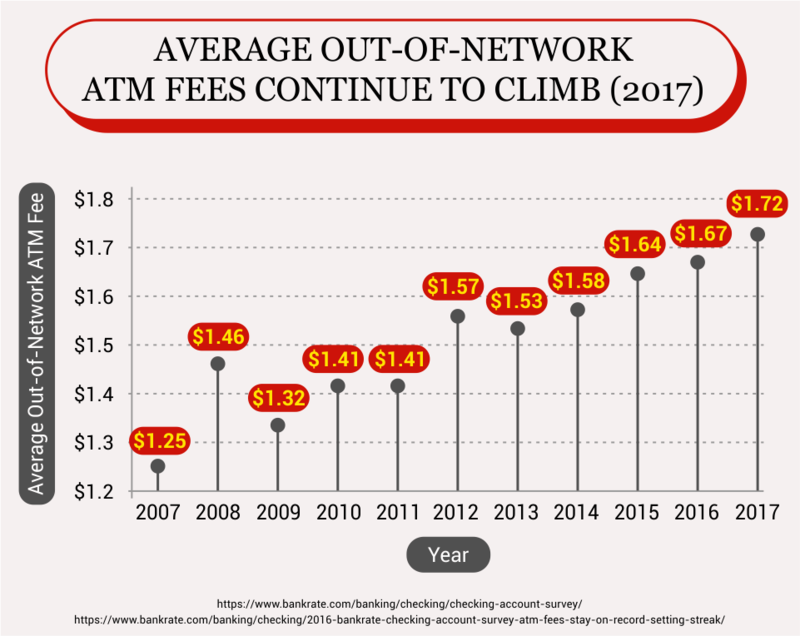 If you use an out-of-network ATM twice per month, you'll be charged $5 from Wells Fargo and an additional $4 from the ATM operators. Over the course of one year, you'll lose $108 to banking fees. There are fees for everything. With monthly checking account maintenance fees that range from $10-$30, $2.50 out-of-network ATM fees, 3% foreign transaction fees, and $35 overdraft fees, the fees can add up. There are ways to opt out of some of the fees—paperless statements, minimum account balances, direct deposits, and debit card usage—but it requires commitment and time, and some customers are increasingly frustrated. "Worst bank experiences I've ever had. There are constant monthly fees. Once they did an automatic transfer that paid my credit card off in full, which at the time I did not have enough money to do. So without seeing it, I used my debit card on simple things ($5 or less) and got charged a $35 overdraft on about six transactions…," says Nate from Carlsbad, New Mexico in his Wells Fargo bank review. Credit card options are lacking. If you're looking for travel rewards, frequent flyer miles, or fancy perks, you'll need to look somewhere else. Wells Fargo offers basic credit cards (like a cash back card), but the offerings aren't particularly strong. Interest rates for savings accounts are super low. Wells Fargo savings accounts for consumers offer an interest rate of 0.01%. That's 0.05% less than the national average for savings accounts. With a savings balance of $5,000, you would earn $50 in interest over the course. But with an interest rate that matches the national average of 0.06%, you would earn $300. That's a difference of $250 per year! Customer service is determined by your local branch. One of the downsides of Wells Fargo's giant size is that customer experiences vary by city and state. Some people love the service at their local branch but others hate it. For better or for worse, in-person customer service standards are determined by local branches and according to customers, they can vary. Customer service scandal. Another question you may be asking about customer service is: "Can I trust Wells Fargo after the account scandal in 2016?" In September 2016, Wells Fargo was ordered to pay $185 million in fines to city and federal regulators for opening two million phony accounts in customers' names. The reason the accounts were open? Unrealistic sales requirements from management. The number of new accounts opened dropped after the scandal broke, but Moody's investor service, a trusted rating firm, has agreed that the outlook for Wells Fargo is stable. Despite the scandal, Wells Fargo continues to provide an FDIC-insured (up to $250,000) place to safely store your money and their 150+ year history is a testament that they will bounce back and make necessary changes. As the biggest bank in America, Chase Bank is Wells Fargo's biggest competitor. Both banks are brick-and-mortar giants with all financial offerings under one roof. Here's how they compare. Similar account options. Both Chase and Wells Fargo offer similar checking and savings accounts. Wells Fargo offers second chance banking with the Opportunity Checking account for customers who have been denied accounts while Chase does not. Chase offers more robust credit cards. Chase offers co-branded credit cards with companies like Southwest Airlines, the Ritz-Carlton, and United Airlines. For frequent credit card users or travelers, Chase offers more opportunity to accrue rewards. Wells Fargo has more locations but fewer ATMs. Even though both banks have robust networks, Wells Fargo has nearly 1,000 more branch locations. However, Chase has nearly 3,000 more ATM locations. Depending on where you live and what you need, one bank might have slightly better physical offerings than the other. Travel credit cards with American Express. With no foreign transaction fees and a generous rewards program with Delta, the Platinum Delta SkyMiles card by American Express is an excellent choice. Citibank for excellent customer service. 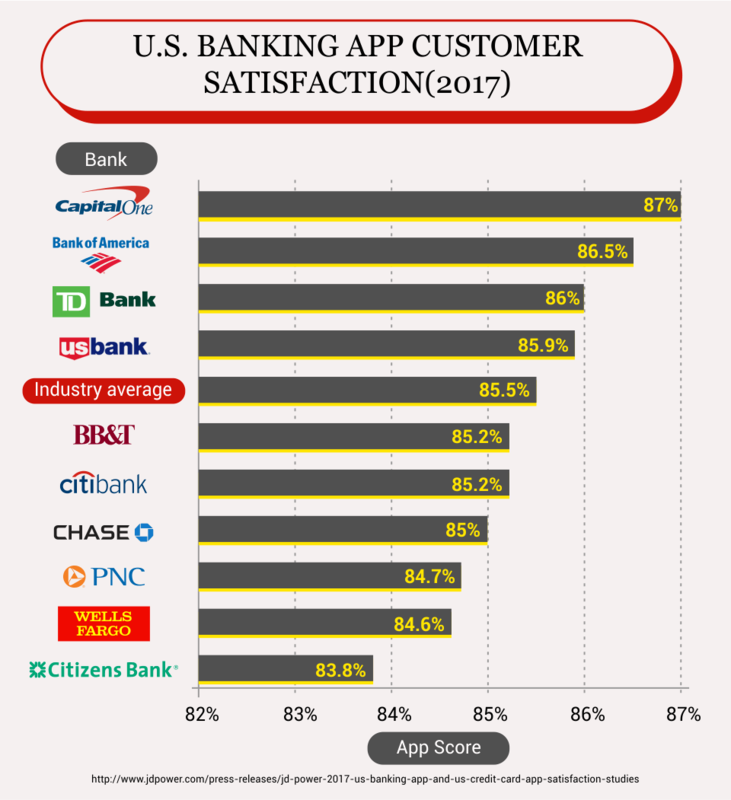 With over 60,000 ATMs across the country (nearly 50,000 more than Wells Fargo), Citibank wins points for increased access and excellent customer reviews. Move online with PNC Bank. If you're ready to move to banking primarily online, PNC Bank offers wealth management and a "virtual wallet" tool that customers love, while still operating brick-and-mortar branches in 19 states. When it comes to your personal checking account options, Everyday Checking and Preferred Checking are similar to accounts offered by the competition. But two checking accounts stand out. Opportunity Checking offers second-chance banking for customers who have been unable to open an account with other banks. Teen Checking allows parents to open an account for teenagers aged 13-17. Savings account rates are standard but not horrible. Offering three different savings accounts, the main thing to note is that Wells Fargo savings interest rates are low (0.01%) compared to online banks. With personal loans, student loans, mortgages, auto loans and home equity lines, Wells Fargo has every loan you need. The downside? Wells Fargo typically only accepts applications with excellent credit scores. Interest rates for personal loans range from 6.99-23.99%, while auto loans range from 3.89-6.87%. Student loans and mortgage rates vary by state. Insurance is available but rates are better elsewhere. Most customers and experts agree that you can find better rates for auto, homeowner, and umbrella insurance elsewhere, but for some customers, the ease of having it all in one place is worth it. Wells Fargo offers checking accounts, savings accounts, credit cards, and loans for small business owners. Rates for unsecured small business loans start at 6.75% and there is a $150 upfront fee. The most notable feature? Wells Fargo is heavily involved in the Small Business Administration's program for government-guaranteed loans. If you want to be sure about getting approved for a loan, Wells Fargo is a great place to look. If you already have a Wells Fargo account that has been open for a year or more, you can apply online for a loan, but if not, you must apply in-person. There are three credit cards for small business owners. The Business Secured card has an annual fee of $25 per card while the Business Platinum and Business Elite cards have no annual fees. My Money Map is an all-in-one financial resource that empowers customers to track their spending, set money goals, and access free financial education resources. For people who need day-to-day budgeting advice and spending plans, My Money Map provides a simple snapshot of all Wells Fargo finances. My Savings Plan is a popular Wells Fargo mobile feature. It allows customers to set personalized savings goals, set up automatic transfers to their savings account, and then track their progress with colorful, easy-to-use graphs. There are a lot of apps and websites that will help you budget and save, but the best thing about My Money Map is that it's all in one place. There's no need to switch between apps or constantly log in and out. It's all here. You can apply online, by phone, or in-person for most personal checking accounts, saving accounts, credit cards, loans, or line of credits. However, you must apply in-person for the Teen Checking account and Opportunity Checking account. Both the teenager and guardian must be present when applying for the Teen Checking account. To make the process as smooth as possible, be sure you have your driver's license, social security number, and minimum deposit ready to go before you begin the application in person or online. The easiest and quickest way to close your account is to visit your local branch. Getting through the automated system on the phone is a headache and the representative is often unable to close the account anyways. How are the insurance services offered by Wells Fargo? Wells Fargo Insurance Services USA, Inc. is a non-bank insurance agency affiliate of Wells Fargo. Some of the services require extra fees and may be offered through third-party providers. What credit score do I need to qualify for the Wells Fargo's personal loan or line of credit? Wells Fargo doesn't share specific credit requirements, but it has shared that more than half of its unsecured personal loan borrowers have a credit score between 660 and 749. How can I earn Go Far Rewards? Do I need a credit card by Wells Fargo? To earn Go Far Rewards, you need a rewards-based credit card from Wells Fargo. Simply use your Wells Fargo credit card to pay for purchases and you'll earn rewards. Where and how can I redeem my Go Far Rewards? To use your rewards, go to the Go Far Rewards website, sign in, and start shopping. Yes, you can share, gift, or donate your rewards. What are the overdraft protection plans offered by Wells Fargo? Customers can link a savings account to their checking account. If the account is overdrawn, money will be transferred to cover the expense and customer will be charged $12.50 for the service. Will I be able to use the Wells Fargo debit card online? Yes, you can use your Wells Fargo debit card online and in person. Can I apply for a mortgage online or do I need to come in person? You cannot get prequalified or complete a mortgage application online. You can only apply in-person or on the phone. How soon can I find out if my mortgage application has been approved? Wells Fargo's approval process is typical within the industry and usually takes about 18 days from the beginning of the process. There are nearly 6,000 branch locations. What online services does Wells Fargo Bank offer? In addition to online account access, Wells Fargo also offers a free online tool for customers called My Money Map, where customers can create a budget and make a money plan. Does Wells Fargo Bank offer a certificate of deposit? Yes, Wells Fargo offers both fixed rate CDs, and step-rate CDs. Can I request a copy of my credit report from Wells Fargo Bank? No, but you can get a free annual copy of your credit score at AnnualCreditReport.com. Is Wells Fargo Bank available in all states in the US? Yes, Wells Fargo Bank is available in all states, but it does not have a physical branch in every single state. Is there a mobile banking available for Wells Fargo Bank? Yes, Wells Fargo has text banking, mobile banking, and banking apps. Yes, products and services at Wells Fargo can vary by state. Does Wells Fargo Bank use credit scores when determining to give you a loan or a credit card? Yes, Wells Fargo Bank uses credit scores when determining loan approval, type, and amount. Does Wells Fargo Bank report to any of the credit bureaus? Yes, Wells Fargo reports credit information to all three credit bureaus. What are the financial strengths? 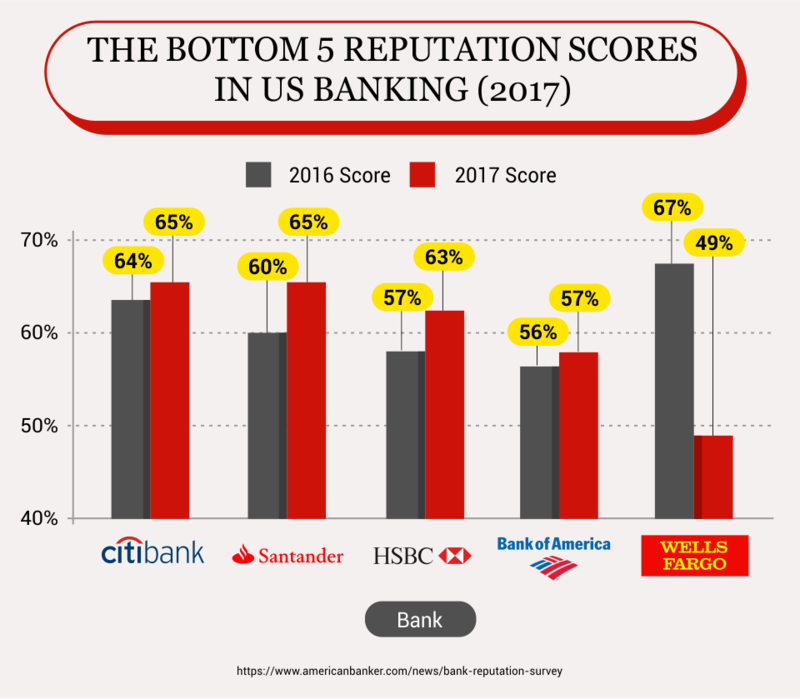 Wells Fargo biggest financial strength is its reputation as one of the biggest and longest-standing banks in America. Yes, there are physical branches in over 40 states. You can find the routing and transit number when you sign into your Wells Fargo account and click on "Account Summary." Customers are able to link a checking or savings account to their debit card and enroll in optional overdraft fee protection. How are the reviews for the credit cards offered by Wells Fargo Bank? Most Wells Fargo credit card customers are satisfied and the reviews are generally positive. Yes, Wells Fargo rewards-based credit cards have Go Far Rewards. Can I withdraw money from any ATM using my card? Yes, you can withdraw money from an ATM using your Wells Fargo debit card. Are the rates offered by Wells Fargo Bank competitive compared to other banks? Yes, all rates offered by Wells Fargo Bank are based on the current market and are competitive with other big banks. Wells Fargo offers both secured and unsecured loans. What are some of the perks offered by Wells Fargo Bank that I will not find in other banks? Wells Fargo is one of the biggest banks in America and has ATM locations and branch locations across the country. How user-friendly are the online services offered by Wells Fargo Bank? Wells Fargo Bank offers intuitive online services that are simple and easy to use, even for customers who are not as familiar with the Internet. Wells Fargo partners with the National Foundation for Credit Counseling to form Sharpen Today's Hands on Banking Program, which is designed to help military personnel and their families stay on a path of financial stability. Wells Fargo is also a lender for the SBA Veterans Pledge Initiative, which aims to increase the number of veteran small business entrepreneurs. Can I use ATMs outside of the bank range to withdraw money? Wells Fargo charges $2.50 per out-of-network ATM withdrawal. How safe is banking with Wells Fargo Bank? Your money is safe when you bank with Wells Fargo because it is insured by the FDIC. Wells Fargo also has an Online Security Guarantee that states customers will be covered for 100% of unauthorized funds removed from their Wells Fargo accounts. In addition, Moody's investor services, a trusted rating firm, has agreed that Wells Fargo's performance and safety outlook is stable. Call Wells Fargo immediately at 1-800-869-3557. How are the saving account rates for this bank compared to others? 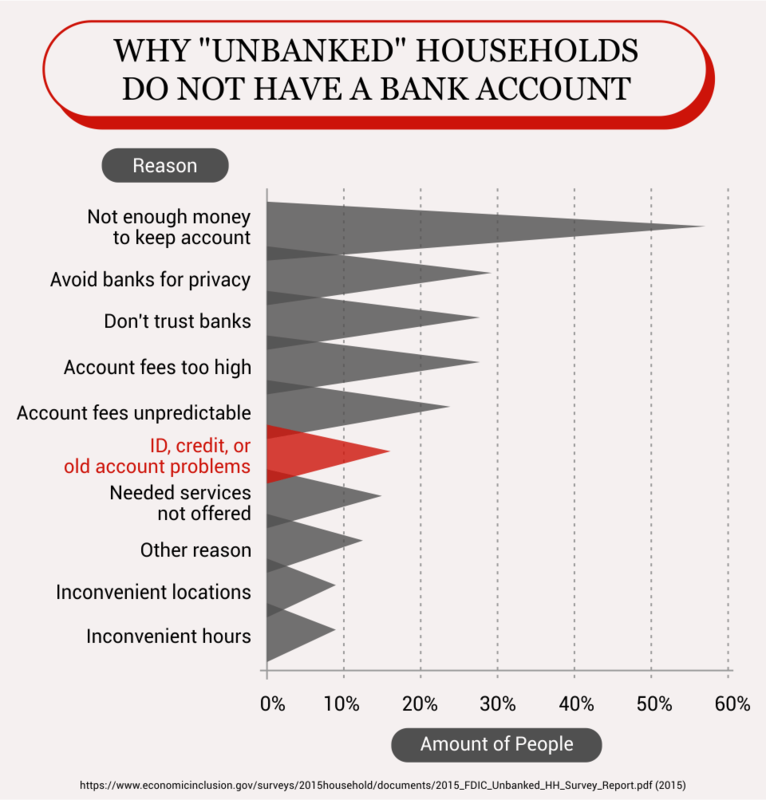 On average, Wells Fargo savings account rates are 0.05% lower than the industry average. What are some ways that the Wells Fargo Bank gives back to the community? In 2016, Wells Fargo donated over $281 million to nearly 15,000 nonprofits to support financial education, education, and affordable housing, to name a few. Are the funds FDIC insured? Yes, all funds in Wells Fargo Bank are FDIC insured. Wells Fargo may not be the trendiest bank, but with branches across the country and every financial offering you could imagine, it's a reputable bank that will be able to satisfy all of your financial needs. Do you bank with Wells Fargo? Please let us know about any exceptional experiences (or nightmare encounters) in the comments below.